Taco seasoning packets for flavoring the meat in Mexican dinners is an American thing. When I was in college, I ate at La Bambas on the campus of Ball State University almost everyday. I got to know the employees pretty well, and the owner told me that the seasoning in tacos and borritos in real Mexican cuisine was in the salsa not in the meat. Still, American-Mexican food is a yummy treat. I prefer making tacos the authentic way and spending lots of time on a spicy flavored salsa, but every so often I create a dish inspired by Mexico and all the spice and flavor is in the meat – the good ol' American way to make "Mexican" food. A popular way to create these flavors is with pre-made spice packets. 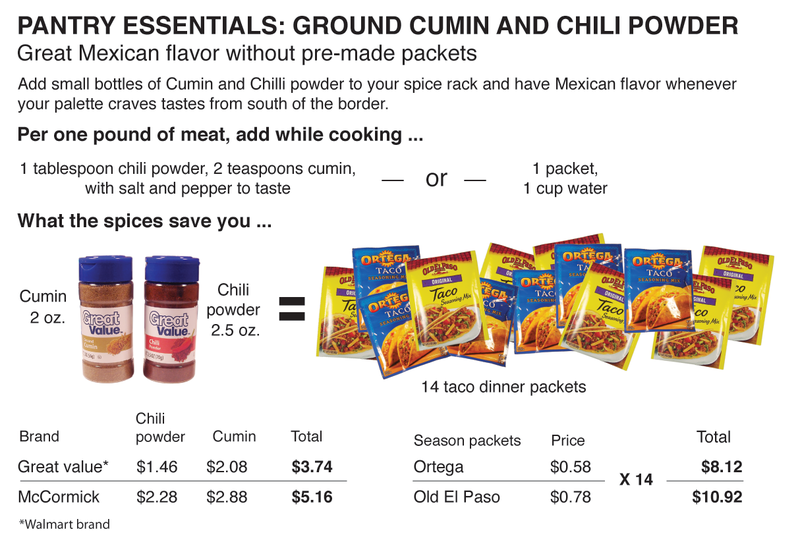 Old El Paso and Ortega are two popular brands that include spice packets in taco kits and also sell them separately. They usually require the contents of the packet and a cup of water with one pound of ground meat. (Half a packet is usually enough per pound, but the directions all seem to call for the entire packet). I never use these store-bought packets. 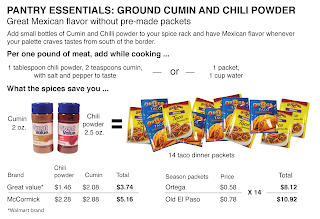 A tablespoon chili powder, two teaspoons ground cumin, salt and pepper to taste are all one needs to flavor a pound of meat to use in an American-style taco or burrito. It's cost effective and more important, it cuts out all the sodium and preservatives that are jam packed into the store bought packets. 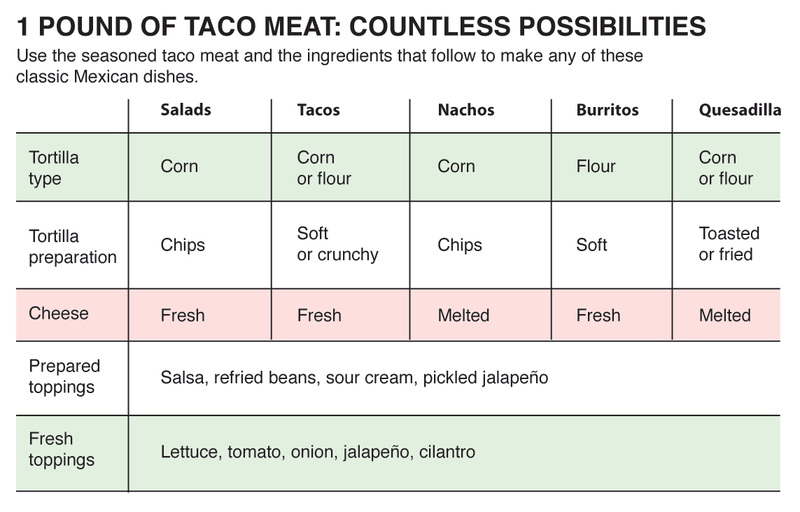 With a pound of Mexican-flavored ground meat there are a number of dishes that can made. 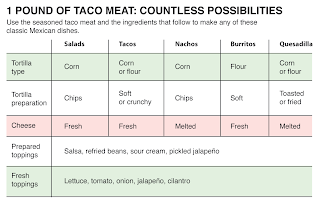 Chose a tortilla type and preparation technique, add a few more ingredients and you have an endless number of possibilities to choose from. A Grinder: The Original Toasted Sub!